Also, it prevents your controls from changing position and size when you're resizing a window, as well as making alignment of controls easier. Pretty neat! So let's say we've built a nice little basic GUI to show some information. But this obviously doesn't create a row or column! It merely sets up the scaffolding for us to start defining them… In order to add a column or row we need to use the <RowDefinition Height=""/> or <ColumnDefinition Width=""/> tag. In our case I want to have an edge of 10 pixels wide around our borders which would mean my top and bottom rows need a height of 10, and the left and right columns need a width of 10. 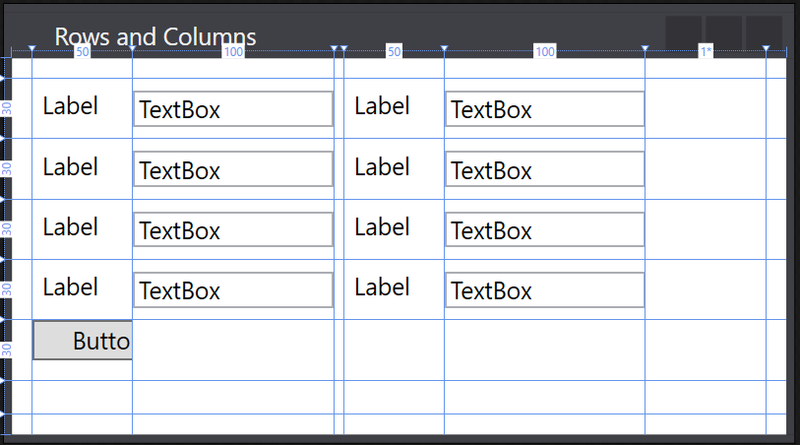 For the labels I will use a width of 100 pixels, whilst the textboxes columns will get a width of 150. 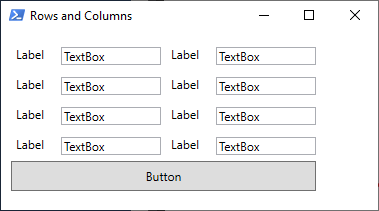 Since I don't want the labels on the right side to but up to the textboxes of the left side I will put in a column to separate them. 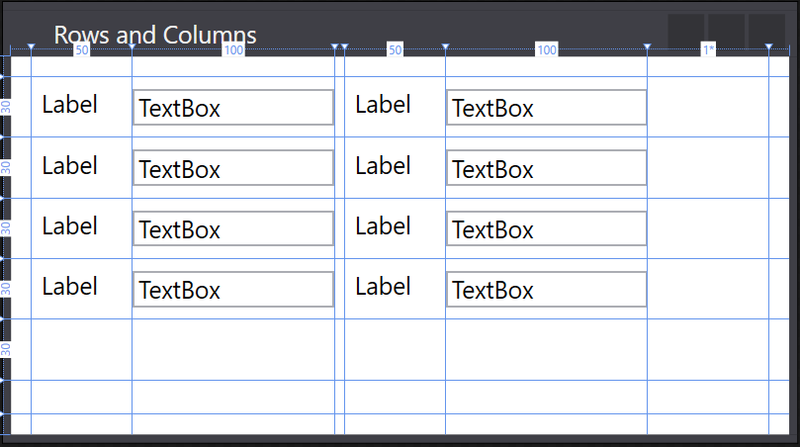 You've probably noticed I created a row and a column where the height and width property are set to "*". 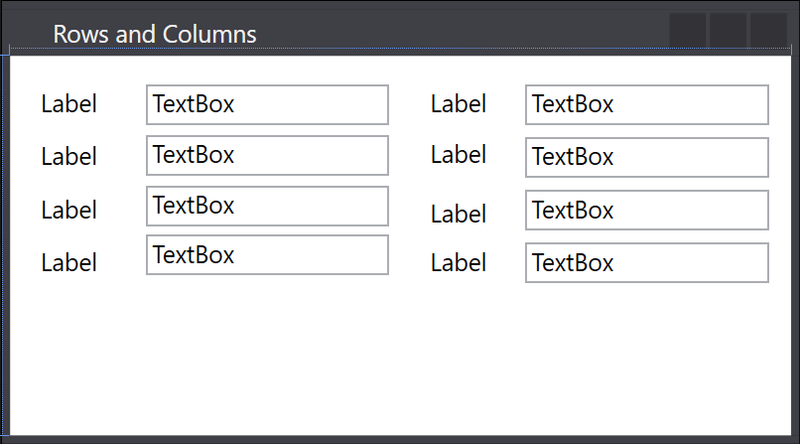 I call them filler rows/columns, since they will take up all the space that's still available in your window size. Hey! Where did my controls go?! But what if you have a control that needs to span different columns? For example a button? And just so you know, there's a Grid.RowSpan as well! Just know that when you're using these properties on a control, that control will seemingly merge the rows and columns that you tell it to span, and the vertical and horizontal alignment will apply to that "merged" column/row. And with that comes the end of this post in the series on Creating Graphical User Interfaces. I hope you enjoyed yourself, learned something new, or gained a greater understanding of our topic. a menu structure in the console" anymore, or perhaps you just want to learn something new . 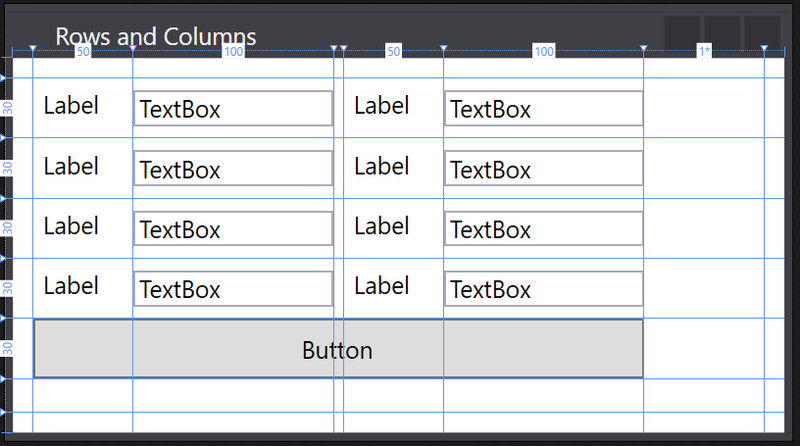 form (using XAML) and presenting it to your user. First things first… What is XAML? which would create the GUI in the same language that you would use to interact with the GUI. 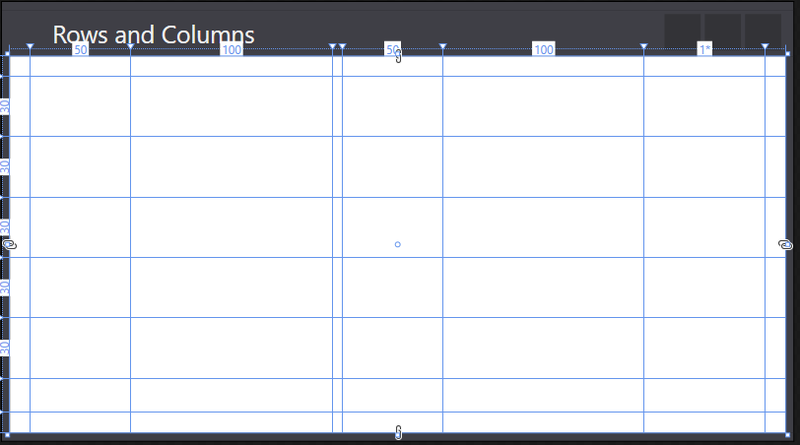 WinForms doesn't scale well and is (in my opinion) horrible to work with. Great! But what the hell does all of it mean? All this building is fun and games, but how do we actually use it? [xml]$xaml = Get-Content -Path "$($VariableHash.FormsDir)\MainWindow.xaml"
[xml]$xaml = Get-Content -Path "<Path to XAML file>"
[xml]$xaml = Get-Content -Path "$PSScriptRoot\WpfWindow1.xaml"